Right now, I’m tucked into a little sort of alcove formed by a guardrail behind me and an old cast iron fence in front of me, sitting on one of the concrete guardrail supports, resting my back on the end of the wide rail, with my feet up on the stone wall from which the cast iron posts rise. The slope of the hill behind Arthur’s Seat and the abbey ruins on the Holyrood Palace grounds are in my view. I’m eating an early dinner (or late tea) of sharp cheddar, an apple, a tangerine, and gingerbread which I brought with me, and a lightly salted, crusted pillowy pretzel and tiny bottle of wine which I picked up on my way here. I slept off much of my jet lag yesterday, last night well into the morning, with a break of wakefulness to sit down for a celebratory carvery dinner – with Yorkshire pudding, oh joy! – and beer, then grocery shopping. Much of this morning and early afternoon was spent on letters, working on my history of ideas travel articles for Ordinary Philosophy, going through photos of my journey of the last few weeks for that series, and a very, very long hot bath. It was raining pretty steadily all that time and it’s Saturday during the annual, world famous Fringe Festival, so it was not a good day to go hiking or taking care of business or commence job-hunting. Not that I minded at all. My room is cheery and cozy and I passed the first part of the day very pleasantly and unhurriedly. But as soon as I left the bath, it felt like it was time to go out. I was suddenly eager to see the lovely city I first fell in love with about three and a half years ago. It’s about an hour and a half walk from where I’m staying and I need the exercise, so I decide to go on foot. I love walking, and it’s a great way to get a detailed sense of the lay of the land between the city center and where I’m staying at the southern end of town near the city bypass. It’s sprinkling on and off a little, but I don’t mind. I’ll likely get tired of the damp and cold over time, but the last few weeks traveling through the United States have been mostly oppressively hot. It felt good today to put on a light wool sweater and not to be flushed and soaked in sweat after only a few moments of activity. The route north to Calton Hill is pretty straightforward. After about a mile you clearly see Calton Hill and the Castle most of the way, so it’s very easy to orient yourself. I passed by petite and tidy suburban row houses, old and even ancient standalone ones, stone walls ditto, and even in one place, to my surprise, small crop fields [on subsequent thought, I think it’s a golf course, it just looks different than many American ones]. These gave way to taller, fancier buildings, new apartments, large handsome older row homes, parks, rows of shops with flats over them, then fancier homes, then tall handsome guest houses, and then, suddenly, I was in the city proper. It’s usual for Edinburgh’s old city to be very busy in tourist season but today, it’s absolutely packed, thronged with festival goers interspersed with those locals who have not fled the city, gritting their teeth as they try to reach their destinations through the hordes. I reached Calton Hill and turned into the cemetery gates to my right and paid my respects at the tomb of my man, the great Enlightenment philosopher David Hume. It was through him I met this lovely city, and he who inspired me to apply to the University of Edinburgh which he attended as a young prodigy of twelve years old. His monument is beautiful, a neoclassical structure with clean lines, embellished just enough with a frieze of flowers and a carved urn. Other family members are buried here with him. The monument was built to reflect Hume’s wishes about the kind of monument he’d prefer if one was to be built for him; it was designed by his architect friend about a year after his death. He didn’t want anything too fancy. It’s near the base of the hill, just down the street from where the scenic walkway named for Hume circles the crown of the hill and its monuments. He successfully lobbied the town council for this path to be built so that the local people could take their exercise in a wholesome and beautiful environment readily accessible from the crowded, dirty, often dark and dank city. In this as in so many other ways, he’s totally my type of guy. 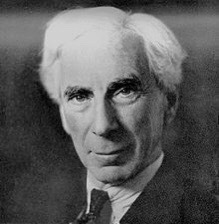 I’m an admirer of Bertrand Russell in some ways, and not in others. For one, I, too, have discovered over time that Russell had gotten some things very wrong about some philosophers and their ideas, and had to overcome some of the prejudices his History of Philosophy had instilled in me. Thanks for the defense of Stoicism, Massimo Pigliucci! This essay serves as a good introduction to Stoicism as well.